By 2050, 85 percent of an estimated 9 billion people will be living in cities, and food and water shortages will threaten the world’s growing population. Dutch firm PlantLab says that most existing agricultural practices deplete natural resources and damage the planet. They’re developing revolutionary growing methods to allow plants to flourish in underground boxes, using less energy, less space, and far less water than conventional methods. 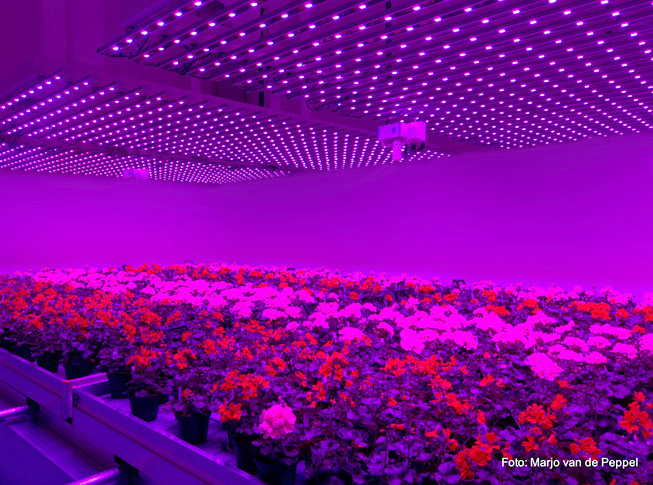 Check out these images to see what the farms of the future could look like. 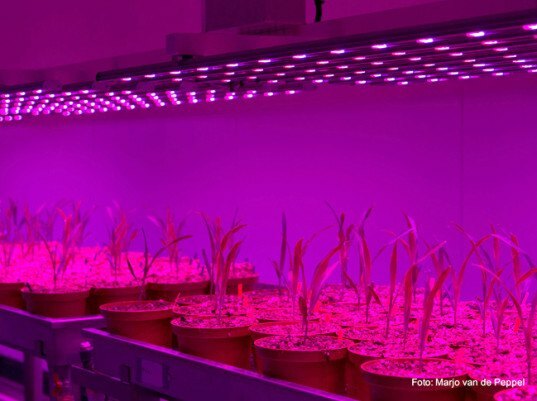 High tech “plant paradise” units provide ideal growing conditions via red and far red LED lighting and use only 10 percent of the water a traditional farm requires. To feed 9 million people 200g of fruit veg and herbs each per day, the creators of the Plant Production Unit say we would need only one quarter of the land area of the Netherlands. We are unlikely to see PlantLab farms popping up in our cities for at least a few more years. The biggest reason behind the delay are the LED lights. Despite costs plummeting and power efficiency for these bulbs following Moore’s Law (doubling every two years) they are still cost-prohibitive for commercial agriculture. 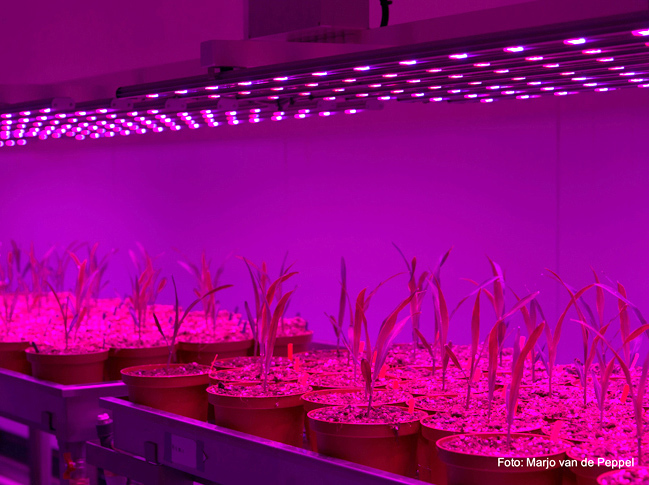 Marcel Kers and his colleagues are convinced however, that the price for LEDs will continue to fall exponentially until PlantLab productions are financially realistic. 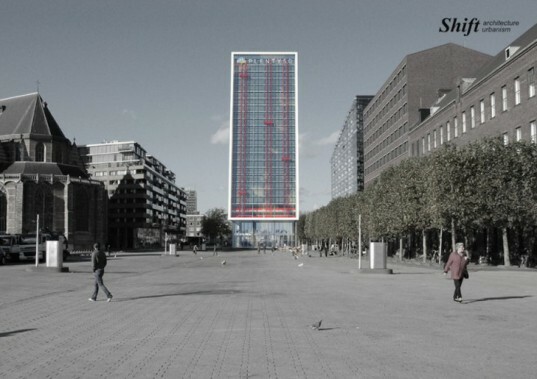 We are unlikely to see PlantLab farms popping up in our cities for at least a few more years. The biggest reason behind the delay are the LED lights. Despite costs plummeting and power efficiency for these bulbs following Moore's Law (doubling every two years) they are still cost-prohibitive for commercial agriculture. Meeuws and his colleagues are convinced however, that the price for LEDs will continue to fall exponentially until PlantLab productions are financially realistic. PlantLab’s vision is that our growing population will have access to affordable, safe and nutritious food via urban farming. Sophisticated algorithms keep conditions optimum for each type of plant so that crop yields are up to 3 times greater than the best greenhouse, and up to 40 times higher than an open field. PlantLab's HQ in the Netherlands.